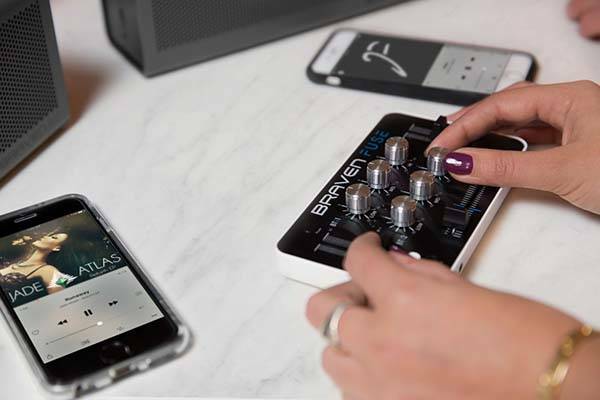 Braven has released Fuse, their first wireless portable audio mixer for Bluetooth speakers. Want to bring more unique audio to your party? The mixing console should be a nice solution. The Fuse is a Bluetooth-enabled, portable audio mixer that measures 5.91 x 3.37 x 1.18 inches and weights 7 oz. As we can see from the images, the Bluetooth audio mixer shows off an ultra portable and sleek design that allows it to fit in your bag and pocket. Most importantly, the audio mixer utilizes Bluetooth 4.0 technology in order to wirelessly connect with your Bluetooth speakers and smartphones, so you don’t need any cable for your audio mixing. 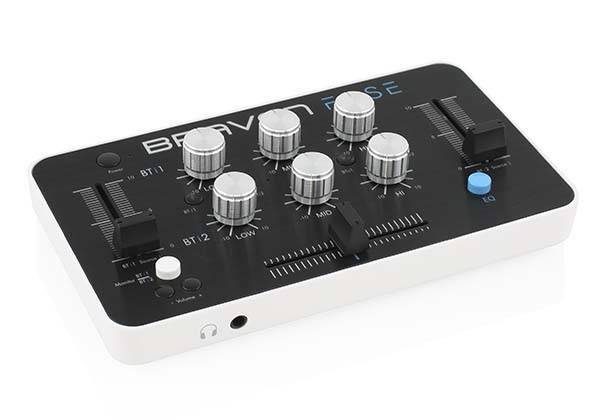 The Fuse is able to wirelessly pair with two Bluetooth speakers at the same time and it comes equipped with 6-knob EQ control panel two volume sliders, and crossfade controls in order that you can freely and easily mix and customize the audio from two sources, and using multiple line-in and line-out jacks, the portable audio mixing console also supports non-Bluetooth speakers or audio sources. In addition, built-in 1,200mAh rechargeable battery offers up to 7 hours of non-stop music mixing. The Fuse portable audio mixer is priced at $99.99 USD. If you’re interested, jump to Braven for its more details.